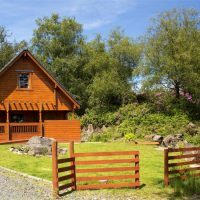 Surrounded by broad fields, Craiglemine Cottage is the place to unwind for a short break or longer holiday. We have one double and one twin room both with tea/coffee making facilities and a residents’ lounge. Evening meals available. Children welcome. Private off-road parking. 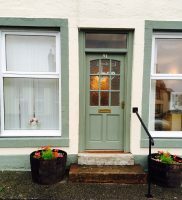 We look forward to welcoming you to our home in the south Machars peninsula, near Whithorn and Port William. Our STB 3-star accommodation comprises of one family room with double and single beds, one double room and one twin room, all en-suite, with tea- and coffee-making facilities, colour TV and controllable radiators. Guests’ lounge / conservatory with small pool and waterfall facing, in landscaped gardens. 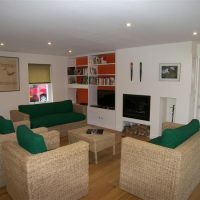 Two bedroom traditional cottage with stunning contemporary interior, located at the southern most tip of the Machars Peninsula in South West Scotland. 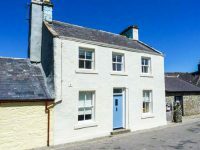 Situated within walking distance of the picture postcard fishing and sailing village of Isle of Whithorn and 14 miles from Wigtown, the historic book town. There are numerous walks and historic sites to visit locally, including the site of the first Christian settlement in Scotland, Whithorn and St Ninian’s cave. 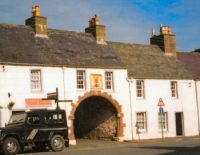 1) Pend House: Medieval gatehouse restored to conservation standards, in the heart of the historic burgh of Whithorn, large open fire with peat supplied, underfloor oil heating, outdoor patio area. Sleeps four, 4-star. 2) Precinct House, a Georgian townhouse, equipped to very high standards, with period interiors. Underfloor oil-fired central heating. Sunny enclosed courtyard to the rear. King-size four-poster, one small box bedroom. Scottish Tourist Board (Visit Scotland) 4 Stars. This spacious refurbished flat sleeps three and has a new kitchen and bathroom. It sits above retail premises on the main street of Whithorn, Scotland’s Cradle of Christianity. Real fire, private access and decking area, off-street parking and close to all amenities. Please contact Anne for prices and availability. Located in Whithorn in the Dumfries and Galloway region, Lintie Cottage features a garden. The accommodation is 27.3 miles from Stranraer. 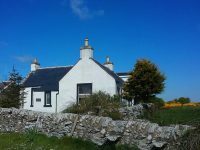 Mid Bishopton Cottage is a newly refurbished comfortable self-contained farm cottage on a working dairy farm, just 1 mile from historic Whithorn. We accommodate most guests including families of all ages, fishing parties, field sport parties, couples and up to two well behaved dogs per stay. 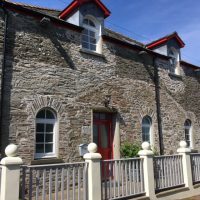 This charming self-catering property sleeps up to four people with two light and well furnished bedrooms and a comfortable and homely lounge. The fully equipped kitchen and dining area offers plenty of space for cooking and entertaining and includes a cooker, microwave, fridge, freezer and washing machine. 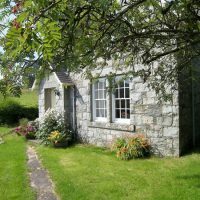 Pets are welcome at Mid Bishopton Cottage and have room to run around in the enclosed garden and on the miles of scenic walks surrounding the cottage. WiFi is avialbale as well as a travel cot and high chair. 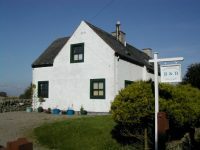 Mansefield House B&B offers high-quality accommodation in the Dumfries and Galloway region. With views over the Galloway Hills, this guest house provides free Wi-Fi and parking. Each room at Mansefield House B&B has en suite bathroom facilities with shower, bathrobes and complementary toiletries. There is a flat-screen TV with DVD player, hairdryer and tea and coffee facilities. Refreshments are available on arrival, and a full English breakfast is served each morning. Evening meals can also be provided on request. Period Gamekeeper’s Lodge. Sleeps 7. Modernized kitchen with pantry and downstairs shower room. Dining room has open fireplace, living room with period features and double bedroom on ground floor. Upstairs bathroom, spacious double and twin rooms and small single for child only. Private garden to the rear and access to woodland garden at sister properties, Ravenstone cottages. Dogs are welcome free of charge by arrangement with Hamish and Toby our dogs. Our canine guests are provided with water bowl and fluffy rugs for use during their stay and free dog treats. We have a large garden and paddock. Your dogs will especially appreciate our leaflet detailing the walkies carefully selected and much recommended by our late and much missed furry daughter Daisy and constantly tested by Hamish and Toby. 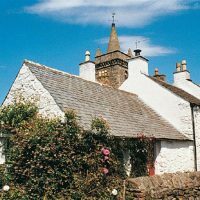 This charming cottage is just the ticket for exploring this beautiful picturesque corner of Southwest Scotland. Dating back more than 150 years and originally two farm cottages, nowadays it is a peaceful and cosy retreat. A honeysuckle archway leads to a delightful garden just waiting to be explored. For those who prefer their comforts inside then the wood burning stove offers the perfect spot for curling up with a good book. The cottage enjoys views across Palmallet Loch, a habitat for an abundance of wildlife. Throughout spring and summer you can watch swans nestling and cygnets learning to swim and feed. There are many species of birds and ducks, and occasionally a heron, attracted by the loch and its surroundings. If you are lucky you may also spot deer, badgers, foxes and birds of prey. For walkers this is a perfect base. From the cottage door heading through Palmallet Farm you can pick up the coastal path either heading north to Garlieston or south to the Isle of Whithorn. The pretty little sandy beach at Rigg Bay is delightful and the views from Cruggleton Castle are beautiful. 15th Century Cottage. Sleeps 5, 3 bedrooms, 1 period 4 poster king, 1 double, 1 single. Pet friendly. Continental breakfast provided. 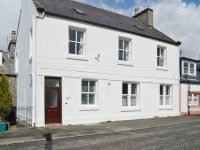 The cottage is situated in the town of Whithorn, close to all amenities. Galloway has a fantastic sea to sky landscape, from safe sandy beaches and rugged cliff top walks to rolling hills and quiet historic ruin. 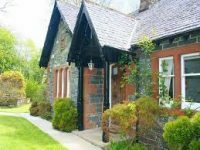 With its peaceful atmosphere, the cottage is a wonderful place to unwind whether you are undertaking an active holiday or something more relaxing. If you like astronomy we have lovely dark skies too. 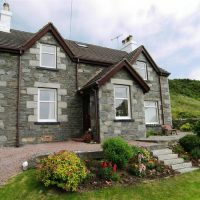 At Craiglemine Cottage you can be sure of a warm welcome all year. Children and pets welcome. On the Southern tip of the Machars peninsula , nestled in the heart of Whithorn , Scotlands cradle of Christianity . No 91 is situated on the Main street , within walking distance of local amenities and on the local bus route . This cosy and compact ground floor flat comprises of 1 bedroom , lounge / dining area , shower room , kitchen , with a small contained garden area to the rear , and ample on street parking available to the front . Bed linen and towels are included . Making it an ideal base to explore the surrounding area, and all that it has to offer , i.e. Are all just a stones throw away . Local golf courses , mountain bike trails , and Scotland’s national book town , to name but a few , are within easy reach . Cults Cottage (Cults being an old Scots word for ‘wooded area’ – although there are no trees now!) 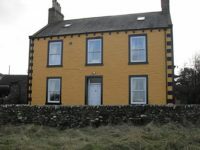 is a lovingly restored, two bedroomed, semi-detached country cottage. 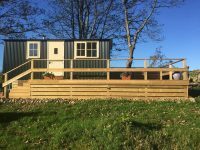 Set in a lovely rural location in the Machars peninsula of Dumfries and Galloway, south west Scotland; it is a popular pick for those who love a relaxing country environment. Renovations having just been completed at the start of 2012, it provides holiday-makers with fresh, modern and comfortable accommodation. 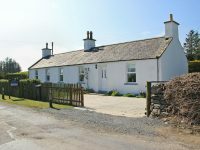 This delightful self-catering holiday cottage is situated two miles from Whithorn, the Cradle of Christianity in Scotland. 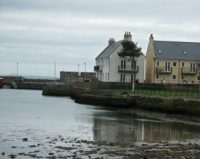 Nearby Garlieston offers sandy beaches and opportunities for sailing and fishing. Wigtown, Scotland’s Book town is only seven miles to the north. 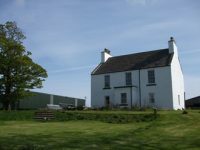 Cults Cottage is an ideal base for walking, cycling, golfing and birdwatching. If, however, you are only seeking a quiet cosy hideaway, Cults is the perfect location in which to relax on holiday. 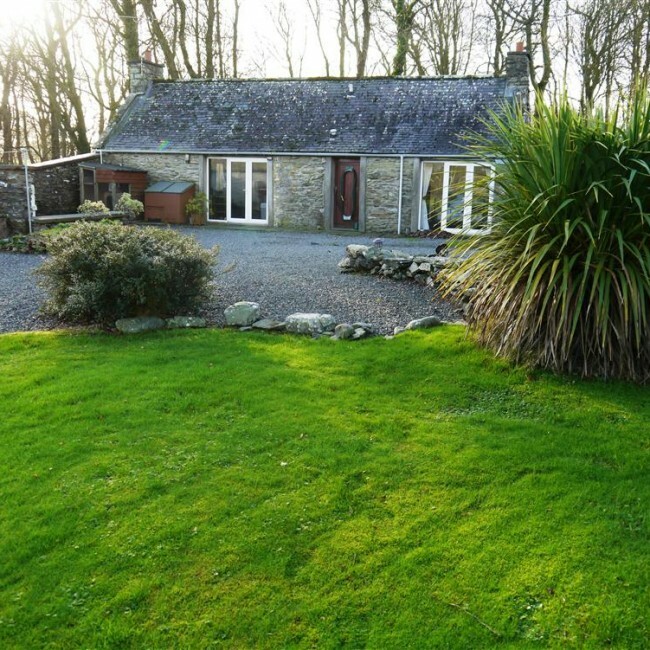 The cottage enjoys panoramic views of open countryside and the Galloway Hills. 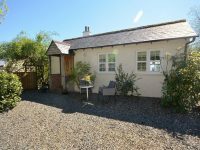 It is within easy reach of the market town of Newton Stewart, and the ferry port of Cairnryan. Two centuries younger than its next door neighbour The Pend, Precinct House echoes back to a time when Whithorn’s medieval streets were being refashioned in the Scottish Georgian vernacular style. The house is made up of two buildings joined together by a glass atrium, perfect for sunny indoor dining. The name refers to an early monastic precinct, which was divided up to make the gardens of later houses. Period fire grates, Georgian furniture and a magnificent four-poster bed create a faithful reconstruction of the house as it originally stood. 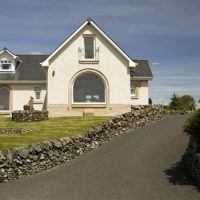 Castlewigg is just a short drive from Wigtown, between Sorbie and Whithorn, and is centrally located for you to explore the beautiful Machars peninsula with ease. 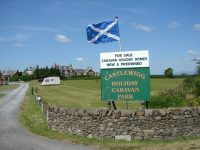 At Castlewigg Lodge we offer our guests a friendly and relaxed atmosphere, comfortable accommodation, and breakfast at a time that guests choose. Our family and double rooms are on the first floor and single and twin room are on the ground floor. All our rooms have en-suite facilities, free WiFi, wall mounted flat screen TVs, tea and coffee making facilities, and a hair dryer. Laundry, ironing and drying facilities are also available. 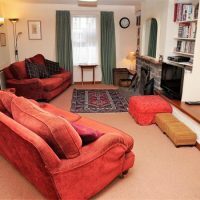 We have a large garden, log fire, a full size pool table, dart board, board games and lending library in the guest lounge, dark skies, and peace and tranquillity in abundance. You can check availability and book online if you visit our website, or call or email Anne to enquire. We are looking forward to meeting you. 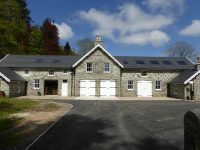 Kath andTim Annison extend a warm welcome to visitors to their recently refurbished farmhouse situated in rolling countryside on the outskirts of Whithorn. The accommodation comprises of a double room with en-suite shower room, a twin room with private facilities and a family room with en-suite shower room. Sitting room with Sky TV and open fire, dining room with open fire. Garden under renovation, ample parking. Pets welcome and evening meal / packed lunches available, all organic food, sourced locally where possible. A warm welcome awaits at Cults Farmhouse, an 18th-century listed Galloway farmhouse set in rolling countryside with panoramic views of the Galloway Hills. Currently, there is one double room available with its own private bathroom. Television, radio and tea & coffee making facilities are in the room, along with a hairdryer. An iron and ironing board are available on request. Breakfast is served in the dining room, with a choice of cereals, fruit juices, yoghurt, toast, tea or coffee or a full cooked Scottish breakfast. There is a separate lounge for guests. Television, books, board games, etc. Dairy Cottage is set off the road up the farm drive and was created from part of the original farm steading. The interior has been completely refurbished with a brand new kitchen, living room, bathroom and two bedrooms – one double and one twin. 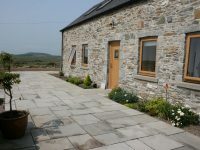 The cottage has Indian stone flooring throughout, central heating and all new fixtures and fittings. The living room has the benefit of a new wood-burning stove and wood can be supplied for you at no charge. There is also no charge for the oil-fired central heating.